NEW!Super strong and no rust ever! Custom fit to your Sprinter high roof van. No drill installation means out of the box and on your truck in about 15 minutes. 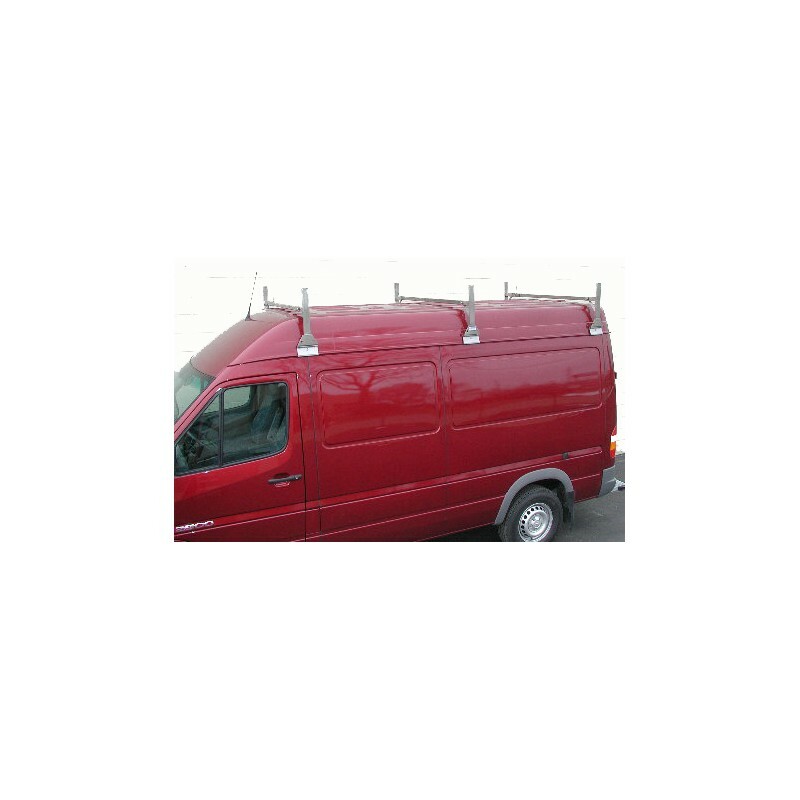 Fits2002 to2006 Sprinter vans with the high roof option. NEW!Super strong and no rust ever! Custom fit to your Sprinter high roof van. No drill installation means out of the box and on your truck in about 15 minutes. Fits2002 to2006 Sprinter vans with the high roof option. Extra wide mounting brackets mount to roof gutter with exclusive American Truck designed clamp mechanism that grips the van in two directions. Each gutter clamp is 7" wide to really hold on when you need to stop suddenly! Nothing to cut; nothing to drill and no holes in your van. The three sturdy 1.5" stainless steel cross tubes will support a distributed load of up to 650 pounds. Two large holes in each mounting bracket allow for handy tie down location. Supplied with two adjustable sliding tie down loops to secure your cargo. All continuous welded seams. Stainless steel product and stainless steel hardwarecombine to provide arack that will last a lifetime!Comes complete with all assembly and installation hardware and instructions. 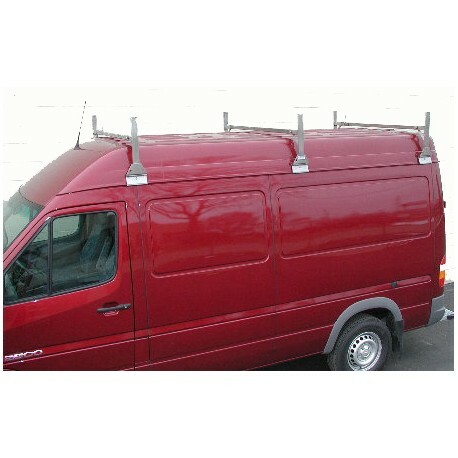 Shown on Sprinterhigh roof van.We suggest usingModel #RS5 Rack Straps with all our Commercial Roof Racks for the ultimate cargo carrying system.